We had a great year in 2016. 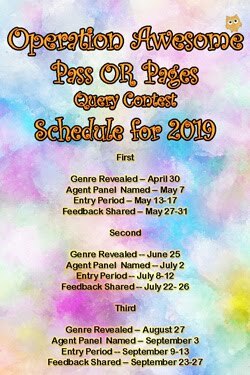 We started a new query contest, Pass Or Pages. We started a book club. 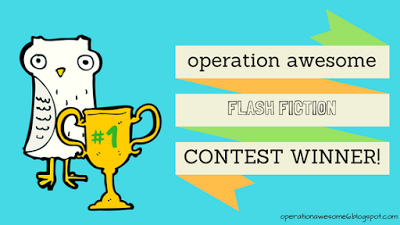 We ran several flash fiction contests. We welcomed new team members. We celebrated debut authors. We had giveaways! We're hoping for an equally fantastic time in 2017. What kinds of posts would you like to see more of in 2017? We're looking for a new blogger to join our team! Details here. First, sorry I am so late in announcing the winner. Christmas-- along with being on vacation with limited internet access-- kind of wreaked havoc on my schedule. I wanted to knock, but the wreath was encircling the entire door like a holiday version of poison ivy. Congrats! I'll be contacting you on the best way to send your gift card to you! A recommendation is the strongest book seller. 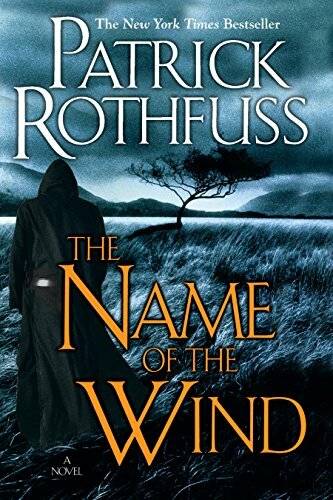 A compelling character, a great description or blurb, and a book's rating and reviews were tied for second most important. 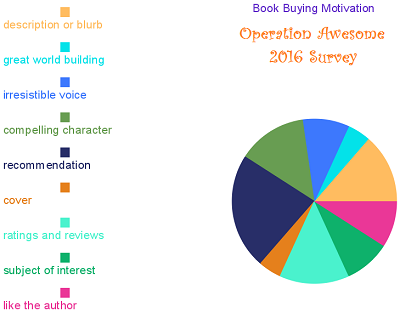 What most motivates you to buy a new book? I love the end of the year--I love looking forward to the new year, and looking back at the good times of the old year. We read a lot of books in 2016, and here are some of our favorites! This one is by one of my CPs and dearest writing friends, Laura Heffernan. 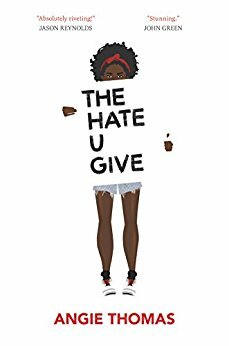 Yes, technically I've already read it, but it is still one of my most anticipated reads of 2017 because I can't wait for all of YOU to read it! What were your favorite reads of 2016? 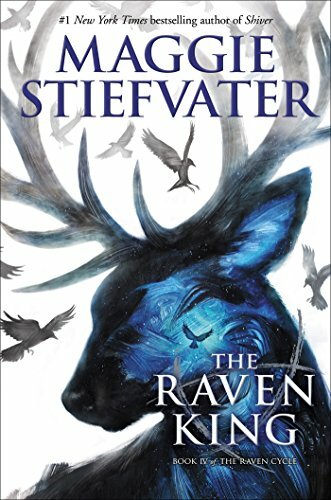 What books are you eagerly anticipating in 2017? 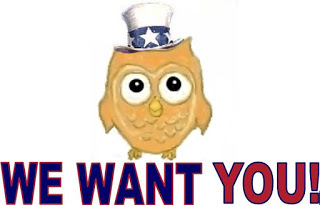 Don't forget, we're looking for a new blogger to join the Operation Awesome team in January! Details here. First lines always intrigue me. They either catch our attention and draw us in, or don't, and we close the book. So let's have some fun with first lines! 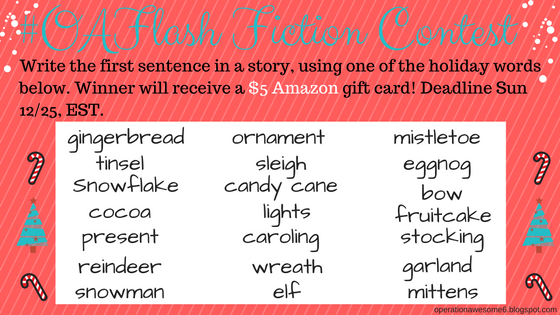 Submit what would be the first line to a story, including one of the holiday words below. Any genre acceptable (picture books, middle grade, young adult, adult). Just keep it clean, please! 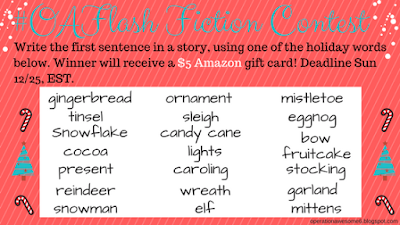 The winner will receive a $5 Amazon gift card, announced on Dec. 25th. Have fun! Here's my contribution: Christmas lights are blurry when you're crying, making them even prettier. 1- What is one "must-do" place or activity you'd recommend to someone visiting Manchester for the first time? Good question! It’s a city with a great sporting and cultural heritage so I’d suggest seeing Old Trafford, England’s biggest club football stadium and home to Manchester United, or catching some live music in which case I’d head for Gorilla, a great club nestled under a railway arch, or The Deaf Institute; it seems a weird thing to say, but as well as the music and the people, I love the wallpaper there. Seriously! 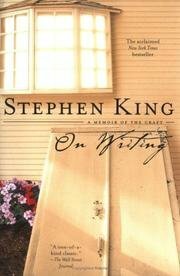 2- Can you share a story from your life that shows who you are as a person and why you are a writer? Yeah, here’s one. I’ve been a big horror fan since I was a teenager, starting with Clive Barker and Steven King. I try and deny it but it keeps coming back to haunt me. Like there was this time I hired a chainsaw to cut down a tree in my garden. It came with a ridiculous safety helmet and visor, plus some heavy-duty overalls. When I got kitted out I looked like some ludicrous serial killer. So I got my girlfriend at the time to take some photos of me, and gave a lunatic roar at the camera wielding the saw. We printed the pics, had a good laugh then I forgot all about it. The next morning, the chainsaw was stolen from my car and I had to call the cops. A police officer came to interview me a few days later. She was very attractive and I found myself desperate to impress her. Unfortunately she said, “Have you any photographs of the missing equipment?” I considered denying it, but there was nothing I could do. I sheepishly showed her the pictures of me bellowing like a psycho. It was pretty much the most embarrassing moment of my life. Despite this chastening experience though, I can’t help myself – I still love horror. It all started with those books where you could direct the course of the plot. Remember the Fighting Fantasy series? “If you want to open the door, turn to 207. If you’d prefer to continue down the corridor, turn to 315.” I went crazy on them. I drew maps of their structure, re-played them over and over, tried to write my own. I remember a turning point was realising the motivations of the characters weren’t strong enough. (What was this guy with the broadsword doing in this room all day? Waiting for me to show up? Why was he there? Did he have a family to go home to?) I figured I could build a better one myself. That’s when I started writing. 4- Do you have a fun story to share with us that illustrates a time when a benefit of being a published author came to light for you? There’s nothing like seeing your book on a table-top or face-out on a shelf in a store, particularly if there’s a little hand-written review underneath from an enthusiastic member of the bookshop’s staff, something they do in big stores here in the UK. It transforms your day, your week, your month! 5- Do you have any advice or tips for writers who are considering using a nom de plume? Ah – good question. This is because I wrote a novel called The Poison Boy under the name Fletcher Moss. It was a great experience – very liberating. I’m naturally quite self-critical so the pseudonym gave me the chance to shut-off that inner voice. 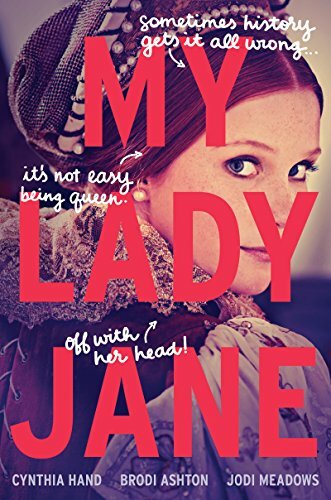 It was like armour to hide behind, especially because I was working full-time as I wrote; I was a Deputy Headteacher at a big school in Manchester. So I wanted to keep the two parts of my life separate. 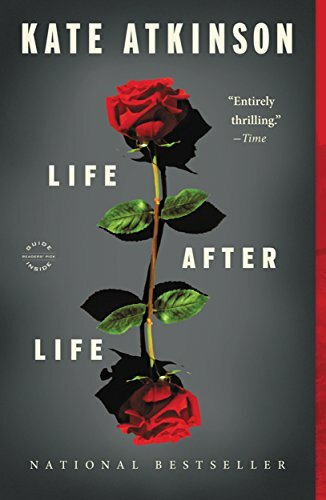 Then, when I wrote Lifers, it came out as a very different book to Poison Boy. And I felt I was a different person too by then. I’d cut down my teaching hours and was making a transition from one life to another. The change of name felt like it made sense. My advice? Use a nom de plume if it helps you manage your inner critic. It can take you through blockages that might otherwise phase you! 6- Who is currently your biggest fan? What does that person love most (or "ship") about your debut novel? That’s be my little girl. She’s five. She reckons Lifers is the best book ever written. Needless to say she’s never read it. 7- What emotions do you hope your book will evoke for the reader, and is there a particular scene you hope will resonate with readers? Yeah, I wanted to write about how spaces imprison us, but how choices do too. Sometimes we make decisions which trap us. That’s what happens to my main character Preston; he sends a cruel text message and that mistake closes in on him. We all make these mistakes, but some of us let them define us and some of us are strong enough to move on. In my dystopian prison, which I call Axle 6, some children become wild, and some retain their humanity. Some of my favourite scenes are set in the prison – there’s a riot over dwindling food supplies; the writing of that was a dark and scary ride! Ultimately I think a society can be judged by how it treats its prisoners. For me, prison is about rehabilitation as much as punishment. But Axle 6 doesn’t give prisoners chance to change – it condemns them to death. I’d love to hear other’s opinions on the nature and purpose of imprisonment; feel free to use the comments box to contribute. 8- What is the most memorable trait or visual oddity of one of your characters? I have this guy called Mace who’s a conspiracy theorist. I loved writing Mace. As he gets unwittingly involved in the events of the story he’s convinced he’s stumbled upon something huge, so he records all his observations as voice memos on his phone. While my protagonist is trying to achieve something, Mace is often in the background describing the situation into his phone (“We’re trapped in a small room with a single locked door…”) It leads to a considerable amount of tension between the two of them, as you might expect! 9- Is there any diversity we can look forward to in your book? I live in a diverse city, teach in diverse schools and spend time with kids from all heritages and backgrounds. It’s one of the things I love most about teaching. When I wrote the book, I just wanted to reflect the reality of that, so characters come from a range of cultural heritages and have different perspectives as a result. I don’t claim to be any kind of expert but I hope I’ve managed to capture some of that, at least. 10- As a reader, what most motivates you to buy a new book to read? It doesn’t take much to persuade me I need more books! At the moment, I’m all about structure, so I get myself a new novel to try and work out how it’s built. I do a lot of deconstruction to try and isolate the building blocks. I think the The Poison Boy had a working structure almost by accident, whereas there was a more deliberate building of the structure of Lifers. But I still don’t know how to build a story, as it were. I’m still figuring it out. Successful authors often say something like, “the book seemed to emerge fully formed.” That’s amazing to me. I can find a thousand ways to screw up the structure of a book. Reading helps me work out where I’m going wrong! 11- What was the deciding factor in your publication route? My journey wasn’t typical! 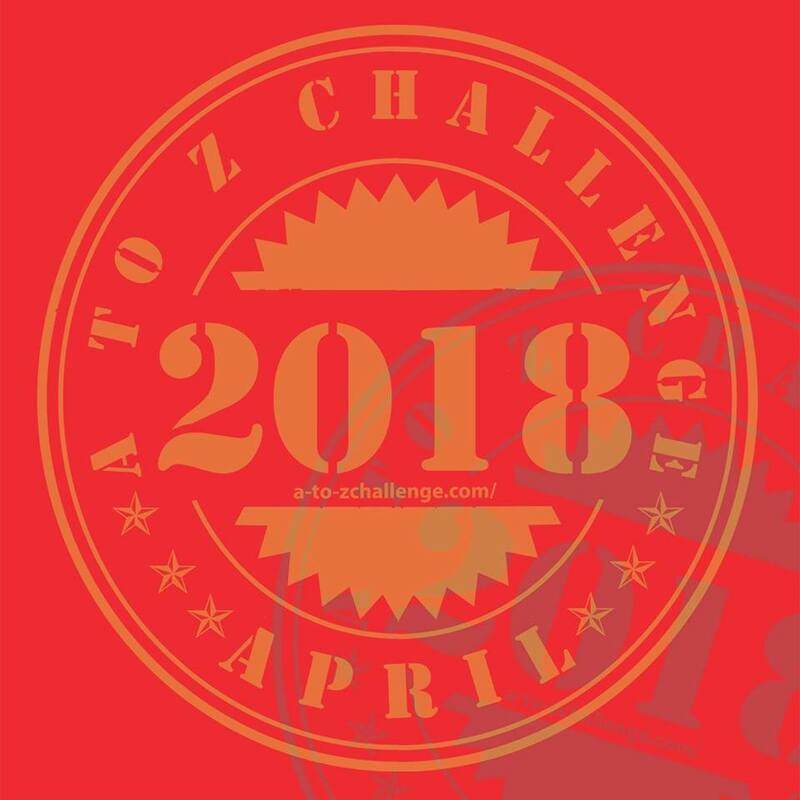 I entered an annual competition run by Chicken House Books, my British publisher. They have huge numbers of novels entered each year, and they publish the winner. 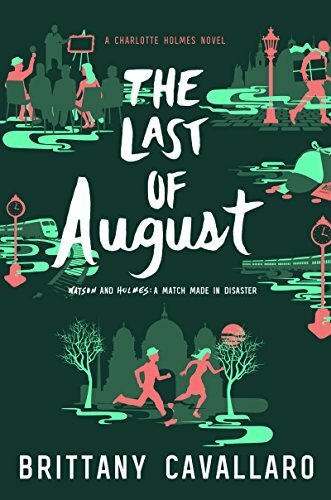 I had this crazy few months where I made it to the longlist (wild celebration!) then the shortlist (more wild celebration!) then won (shocked disbelief!) I’d recommend writers check out competitions like this, they’re a great way of getting noticed. And you don’t have to win to get a deal either. Yes please! 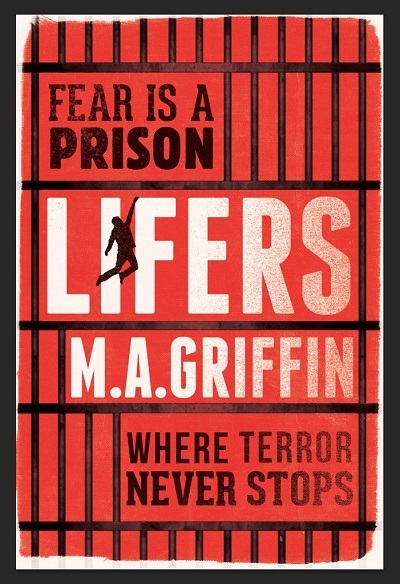 Lifers is a magic door story. When I was a kid, I wanted my sci-fi and fantasy epic and otherworldly; Middle Earth, not planet Earth. I wasn’t up for stories of an ordinary world tipped on its axis by the existence of a magic door to a parallel place. Until I read Alan Garner’s Elidor. Then Stephen Donaldson’s fantasy. Then Terry Brooks’s Landover stories. Soon, I was sold on this idea of throwing one world into sharp relief by juxtaposing it with another. I’m still hooked now. Late period Stephen King does this beautifully; From A Buick 8, or his JFK time-travel novel 11.22.63. I wanted to try it to, and I’d been waiting for an idea to come along so I could go for this particular ride. 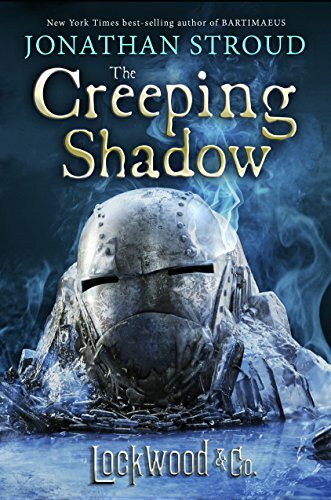 Then one day driving to work I had the idea of a nightwarden – a nocturnal protector of a secret prison – and Jonathan Shade arrived virtually fully formed in my head, patrolling his secret Manchester locations, nursing his guilty secret. I’d been addicted to an Urbex site called 28 Days Later (http://www.28dayslater.co.uk ), and the two ideas collided. Prisons and urban exploration – what’s not to like? We're looking for a new blogger! We're looking for a new team member to join Operation Awesome in 2017! We are looking for a writer to commit to blogging every Thursday. The schedule will be flexible around contests and other date-sensitive posts, but this blogger will still be expected to blog approximately four times a month. We also need help running our Pass Or Pages contest, and we hope that if you are interested in blogging with us, you'd like to help with the contest as well! Currently our blog has 3 regular features: Tuesday Museday, Debut Author Spotlight, and #OAFlash Flash Fiction contests. We'd like our new blogger to come up with an additional feature that they would implement on the blog. Not every week would have to be devoted to the feature post, but it should be something that will appear at least once a month. On non-feature weeks, you would be welcome to post about anything you'd like! As far as blog posts go, pretty much anything related to the craft or business of writing is welcome. We tend to stay away from controversial or emotionally-charged topics, because it's hard to reflect the views of everyone in the group in such a post. However, we're flexible and we communicate well with each other behind the scenes, so it's a good atmosphere to bounce potential ideas around. 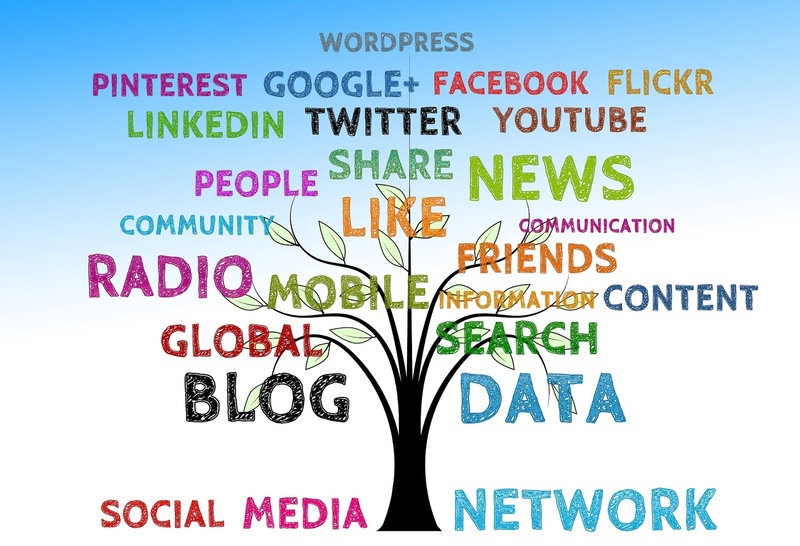 Each blogger is responsible for promoting their own posts on social media. You will receive the passwords to the Operation Awesome Facebook and Twitter accounts to help you reach more people. We welcome applicants from any background, and are especially interested in bloggers from groups that are underrepresented in the writing world. We see membership in Operation Awesome as an opportunity to make meaningful connections in the publishing community no matter where you are in the journey. Each of us has grown and learned from the experience of group blogging, and if that sounds like something you’d be interested in, please send an email to OperationAwesome6 (at) gmail (dot) com with a short message on why you think you would be a good fit for Operation Awesome, as well as your idea for a new feature for our blog. Please include links to your social media and blog sites. If you don't have a public blog where we could see examples of your writing, please include a theoretical guest post with your application. If you have applied before, and are still interested in blogging with us, we strongly encourage you to apply again. We will accept applications until Friday, January 6th. Questions may be asked as a reply to this post, or on Twitter @OpAwesome6 or @reynoldstribe. I've been on a documentaries kick lately. One in particular sparked my interest. 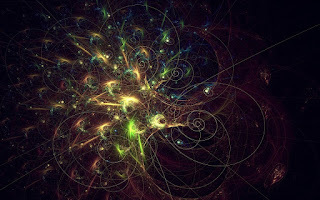 It was about chaos mathematics. Doesn't sound very writerly, does it? However, believe it or not, it really gave me something to think about in terms of book marketing. First, we're word people, so let's get a definition down. We usually equate chaos with complete randomness, but this is not the case. Chaos theory:the branch of mathematics that deals with complex systems whose behavior is highly sensitive to slight changes in conditions, so that small alterations can give rise to strikingly great consequences. (Google) This is commonly referred to as the butterfly effect. Book marketing and, therefore the success of a book, is one such system. Hundreds if not thousands of systems combine to create an extremely chaotic system that Joe Writer is plunged into and told to swim once he has a published book. This is why there are no 7 keys to making your novel a New York Times bestseller. Anyone who claims to know the secret to this is trying to take your money. Certainly you can do a number of things that will increase your success, but you can't forecast trends, you can't dictate what movies are produced, you can't foresee what people's disposable income will be, you can't predict what other books will be released, or any number of other variables. While this could be discouraging, I find it encouraging. If you've worked hard at marketing and your book hasn't gone viral, don't feel bad. As authors do all they can to get our books noticed. We keep plugging away, in hopes that at some point this chaotic system will work in our favor. The longer and harder you keep at it, the better your chances. The more books you have in the marketplace, the better your chances. Don't give up just because your initial efforts aren't met with success. And please be extremely cautious about anyone who promises instant success, whether it would be vanity publishers, publicists, or marketing gurus. The system is just too complex to reduce it to a step-by-step process. 1- What’s your favorite Nirvana song? “All Apologies.” It’s hopeful, wistful, strange and sad. When I was pregnant with my son, he began having an erratic heartbeat and I was flown by helicopter to a bigger city. I have never been more worried. I had to stay in hospital there until he was born, leaving my friends, my belongings, and my dog (my husband later joined me). Unlike many of the pregnant patients, I was allowed to move around, so I left my room one day to get my hair trimmed at a nearby salon. It was an odd place. This strange coincidence was an intersection of elements—the power of story, the power of a mother’s love, the pain of loss and grief. It was a bizarre experience, made weirder by me sitting there, watching, wearing a hospital gown. Happily, my son is fine. But I have never forgotten that scene in the salon. I have always been nosy. When I walk past a house at night with the curtains drawn I always want to know what’s going on inside. I used to put on plays with my friends when I was little. I guess that passion for story has always been there. 4- What’s the best part about running? Being outside and exploring. Clearing your mind. I have also seen some amazing things while running: from owls to otters. One time while running in Canyonlands I nearly did a face plant right onto an enormous green snake. 5- What story had the most impact during your investigative journalism days? It depends, I guess, on how you define impact. I once flew to a small seaside community in Eastern Canada to report on the health problems of the people there who’d grown up near a toxic waste site. The community had sky-high cancer rates. Now that I am a parent, I remember meeting the children. I still think about how generous those people were to me then, sharing their lives. So that story had a big impact on me. 6- Who is currently your biggest fan? My sister. Her enthusiasm is not tempered at all! What does that person love most (or "ship") about your debut novel? Perhaps the sad parts? She has a tender heart, for sure. I hope readers find the book funny and entertaining, but yes, the book is sad—though it is ultimately hopeful. I hope the readers remember the scenes of Nico and Cobain in the cabin, in the storm, when anything can happen. 8- If you could only have one coffee order from one coffee house for all of 2017, what would it be? Dark-roast drip coffee in a cup the size of a rain barrel. 9- What is the most memorable trait or visual oddity of one of your characters? 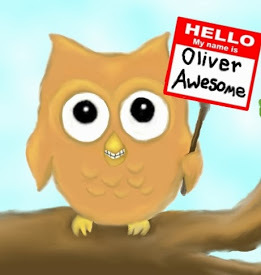 Nico’s best friend Obe likes to wear fingerless gloves and has the posture of raw bacon—he’s unusual but lovable. 10- Does anyone in your book wear pajamas to a wedding or other major life event? The incident you reference is mentioned in the book—but as a historical event. 11- Is there any diversity we can look forward to in your book? No, there is not much—and that really had to do with the confines of the premise. The current books I am working on are very different in this regard, and I am really enjoying that freedom. 12- Which character has your favorite Personality Contradiction? Well, Cobain in the story is caring, but crazy—he’s eccentric, yet also effective in helping Nico. 13- Do you think Courtney Love has read your book? What review do you think she would write? I really doubt Courtney Love has read SAVE ME, KURT COBAIN. I could not guess her review. Mind you, she loves music, and this is definitely a book for people who love music. 14- As a reader, what most motivates you to buy a new book to read? One key thing is simply wanting to know from the description—what happens next? I am also trying to make a point of reading more widely—from authors with different experiences and backgrounds than me. 15- Do you tune in to the Lithium station on Sirius XM? No, but I probably should. I love radio. 16- What was the deciding factor in your publication route? I finally connected with my wonderful agent who helped me get a book deal with a wonderful publisher—that was pretty much my good fortune. It took a lot of perseverance, though. 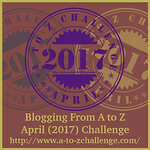 17- Anything else you would care to share about your book and yourself? What if you discovered that Kurt Cobain is not only alive, but might be your real father? Nicola Cavan has been an outsider since age four when her mother vanished from their home in Victoria, British Columbia. Now 15, Nico is determined to find her beautiful, music-obsessed mother. 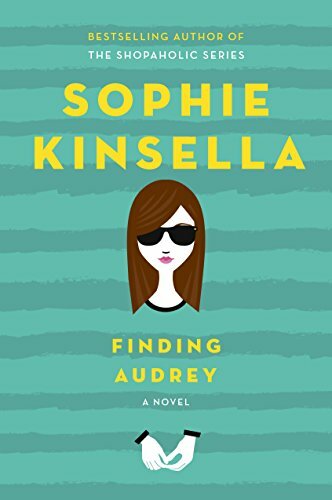 After glimpsing “Cobain” on a ferry from Seattle, Nico follows the man with the blazing blue eyes to a remote Vancouver Island cabin—and her life will never be the same. READERS- If you could only have one coffee order from one coffee house for all of 2017, what would it be? I'm currently reading READY PLAYER ONE, and so far I am loving it. One thing in particular that I love is that the main character, Wade, frequently makes mistakes that drive the plot forward and reveal more about his inner self. Several years ago, I was in a community theater production of Brigadoon. We needed a trunk for the Jeannie's Packing Up scene, and my husband had an old one that didn't look too terribly anachronistic from far away, so I emptied it out and moved it to the theater for the run of the show. One day, I came in and found a groovy pair of hipster glasses (sans lenses) in the trunk. They didn't belong to anyone in the cast, so I made a game of hiding them onstage every show, and eventually took them home on Closing Night. How could I NOT keep those bad boys? Anyhoo, during the cast party I got a phone call from one of the guys in the improv company that had their shows right after ours in the same theater. Apparently, the glasses were his, and he needed them back ASAP for one of his sketches. In taking the glasses, I had made a MISTAKE. 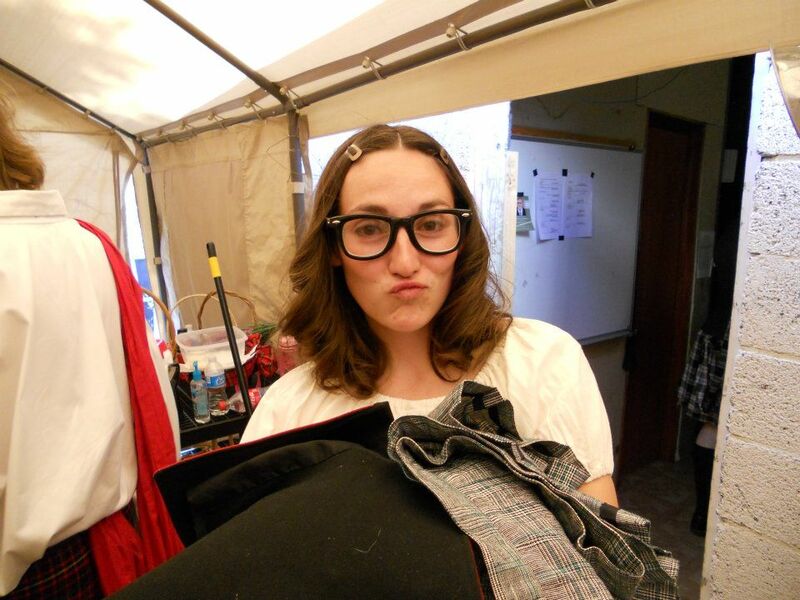 I left the cast party immediately and took the glasses back to the theater. Mistakes and their ramifications can serve a myriad of purposes in a novel. Let go of the idea that your characters have to be perfect, and allow them to make mistakes. Last chance for a query letter critique in 2016! If you want one, please comment on this post and let me know. I'll select a few people for critiques. Make sure you come back and check for my reply so you know if you were chosen. Happy Giftmas! 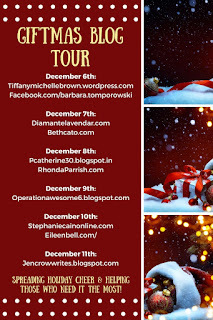 We here at Operation Awesome are excited to be participating again in Rhonda Parrish's Giftmas blog tour. This year the blog tour is benefitting the Edmonton Food Bank. 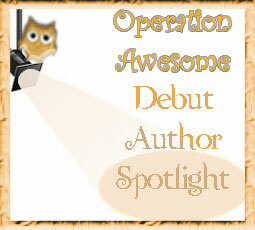 Today's guest post is brought to you by Tiffany Michelle Brown! My fiance has explained repeatedly that he comes from a food family, but I don’t think that fact truly sunk in until the coolers from California arrived. When Bryan and I moved in together a couple years ago, his parents scheduled a visit to Phoenix. We’d only been in the tri-level apartment a few days, so our lives were still tightly packed in cardboard boxes and our refrigerator contained around 50 styles of hot sauce, but very little food. “No, we won’t need to shop any time soon,” Bryan answered. And he was right. Because moments after hugs and hellos were exchanged, Bryan’s mom started unloading two huge coolers of food that had traveled the nine-hour drive with them. Within minutes, our freezer and fridge were completely stocked with foods I’d never heard of before—mushroom balls, shao bing, bean curd skins, and scallion pancakes. The next day, Bryan’s mom sat at a fold-out card table for nearly an hour hand-rolling spinach and tofu dumplings. When she’d filled two large cookie sheets, the little pockets of heaven were deposited in the freezer, but she said she still had dumpling wrappers and filling left over, so she’d continue the next day. It took us nearly a year to make our way through all of those dumplings, because her beautiful, cooking-weathered hands crafted so many of them. Now, when Bryan and I go to Ranch Market on the weekends to pick up jackfruit or Enoki mushroom or mochi, I’m excited, because odds are good that the lady who makes Taiwanese pancakes will be there, her cart steaming and giving off the aromas of pancake batter, coconut, vanilla custard, and red bean. I burn my mouth every single time on the hot filling, but it’s totally worth it. On the birthdays of friends and family members, Bryan and I always make sure to eat noodles together, because noodles symbolize long life in Chinese culture. Recently, we’ve started bringing home noodles for our dogs, too, so they can partake in our birthday tradition. And I love celebrating moon festivals, because there is always moon cake. And even more exciting than the prospect of buttery cake filled with pineapple or melon or mung bean are the ancient stories that accompany the tradition of eating moon cake. One of my favorite stories is one that dates back to the Yuan Dynasty (1271–1368 AD), a time of difficult, oppressive government and a resulting zeal for revolt. An uprising of the people was imminent, but it was difficult to pass messages between the resistance forces. Naturally, the Chinese came up with an ingenious solution…that involved food. Members of the resistance would hide messages in cakes, because what could possibly be threatening about a delivery of pastry? For added security, the rebels would read the messages by the light of the full moon, which is why full moons and new moons are celebrated in Chinese culture with—it all makes sense now!—moon cakes. A couple years ago, I found out that Bryan hadn’t been home to Lancaster for Christmas in about six or seven years. “It’s time,” I told him and we packed up our suitcases and drove out to California for 10 days. I found out that we’d be enjoying a traditional hot pot for Christmas dinner. A hot pot is kind of like eating fondue—but way better. Vegetable, beef, or chicken broth simmers in a pot in the middle of the table and everyone adds meat, veggies, seafood, wontons, dumplings, and more. As your food cooks, it absorbs all of the flavors of what has been cooked before, plus the flavor of the broth. And there’s customized dipping sauce, too. It’s a hearty, satisfying, interactive umami explosion. That Christmas, I went crazy over thinly-sliced Korean beef, which was both delicate and decadent. I tried pork kidney and didn’t completely hate it. I gorged myself on fresh vegetables. And my mouth was burning from the spicy dipping sauce I’d made myself. But my favorite moment of dinner was something that Bryan’s dad said. Bryan’s parents—and Bryan, too, for that matter—are really happy that I’m an adventurous eater. They understand that I won’t necessarily like everything, but that I’m game to try it. And it goes a lot deeper than having a daring personality or an insatiable inner fat kid. Bryan’s dad believes that if people from different cultures could share a meal together—without judgment, without sneering at cultural food differences, with an openness and respect for each other—the world would be a better place. Yeah, I’m a girl who can recognize a moment, and that was most definitely a moment. Over the steam of the hot pot, Bryan’s dad was acknowledging that despite our different backgrounds, cultures, and views of the world, we were the same. And I think he’s right about the global impact of sharing food. Can you imagine dignitaries and presidents and world leaders sharing a hot pot? Personally, I love that mental image. Because for me, food is love. It comforts you, fills you up, and though we all prepare it (or show it) a little differently, it nourishes both our bodies and our souls. That Christmas, I’d been invited to the table—and it was covered not only with food, but love. 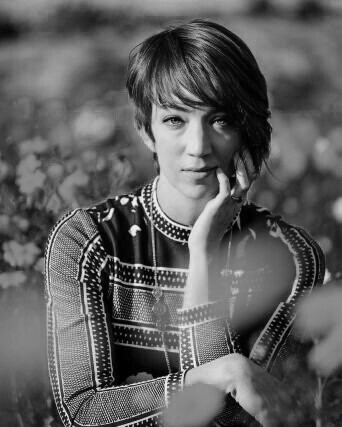 Tiffany Michelle Brown is a writer, Aikido practitioner, lover of puns, and whisky enthusiast with degrees in English and Creative Writing from the University of Arizona. 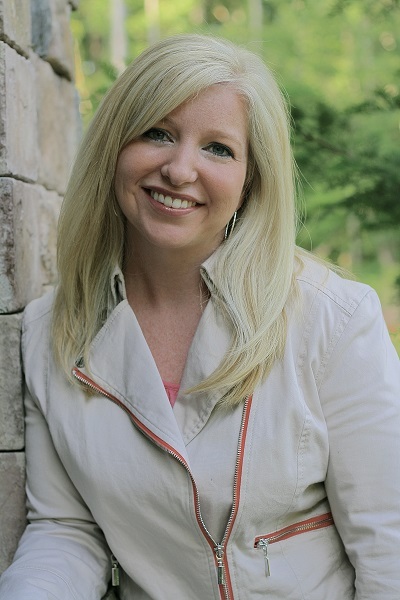 Her fiction has been featured by Electric Spec, Popcorn Press, Romance Magazine, and Shooter Literary Magazine. She is one of four authors of the upcoming Enchanted series, which will be released by Pen and Kink Publishing in 2017. Tiffany lives in San Diego with her ninja fiancé and two fur balls, Biscuit and Zen. Follow her adventures at tiffanymichellebrown.wordpress.com. Check out the rest of the stops on the tour for more great stories! 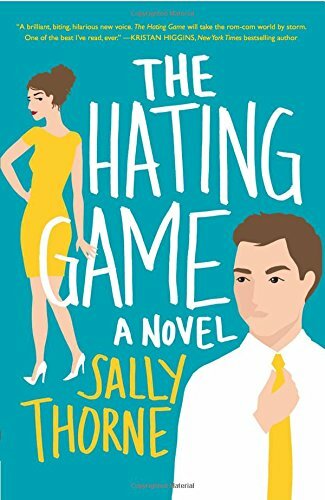 There's also a giveaway for you readers! Woohoo! 1- What's your favorite X-files episode? This is impossible to answer! I will give you some favorites at the moment, but they always change. “Clyde Bruckman’s Final Repose” is about an insurance salesman who can see the future; it gets high marks for Mulder/Scully banter, and it also has a rhythm and sensibility that made me love the show in general. “Monday” is X Files meets that movie Groundhog Day; it made such an impression on me and I have to watch it every few years. “Hollywood A.D.” and "Jose Chung's From Outer Space" are totally absurd and shows the writing room’s range. I also just rewatched “Beyond the Sea” at a friend’s suggestion and that is super duper emotional with a nice character inversion. I’m sorry I cheated. I know that was five episodes. Today I went into a drug store and spent 20 minutes in the nail polish section, testing about a million colors so that by the end of it my nails looked like some bad Pollock interpretation. For every color I imagine a version of myself—what I’d be doing, who I’d be with, where I’d be headed etc. I know we’re only talking about nail polish here, but ultimately it’s an exercise about how to project myself into a reality that hasn’t happened, or to reminisce about a moment I’d like to relive again. And that’s what writing is like for me. With every character I take the time to imagine every reality for them I’m capable of imagining. At the end of the day I have to pick one, but I have that branching network of possibilities for each character—and at some point one of those branches intersects with another character’s branches and so on. 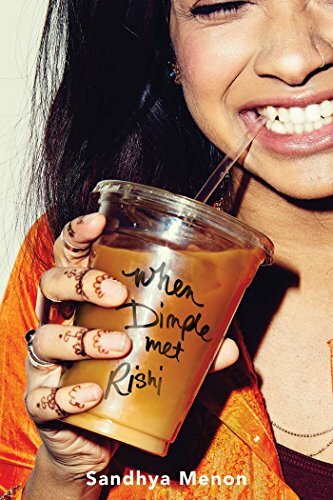 I was always a reader, but it wasn’t until I got to college and started reading Asian Am, Black, Latinx authors that I found the desire to tell a story. It had been so rare to see myself that intimately on the page. Reading from so many cultural viewpoints normalized the idea that my story was worth writing, and that maybe someone might connect with it. 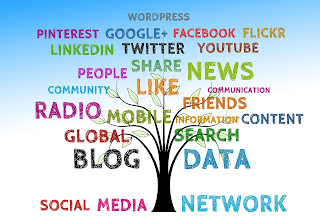 4- How has social media helped you to promote your book? I’m not sure it’s helped promote my book so much as put me in touch with a wonderful community. Of course I post pictures and information, and potential readers come find and support me (which by the way, thank you!!!! ), but if anything it’s helped me plug in and meet people I couldn’t otherwise. 5- Have you ever been to Comic-Con or a sci-fi convention? I went to SDCC when I was younger and it blew my mind. I’ve haven’t been to a comic con since. Definitely more to come! My sister. We both grew up on a steady diet of scifi adventure and 80s action movies, and she really connected with the world building and formation of the EMPRESS characters. Lots of people tell me they connect with Aly’s voice but she has a soft spot for Rhee—while Rhee’s character is about loyalty and family, she otherwise staunchly refuses the expectations placed on her as a girl and public figure. And I think my sister might’ve connected with that? I want them to feel empowered. So much of our lives we’re made to second-guess our choices. Am I wearing the right thing? Did I sound smart enough? Was that a waste of time? That’s not to say I don’t think self-reflection is important and necessary, but that we should take the opportunity to define ourselves and our stories. It takes a while sometimes to figure out who you are, but that's time you're entitled to—identity shouldn't be assigned to you by others. 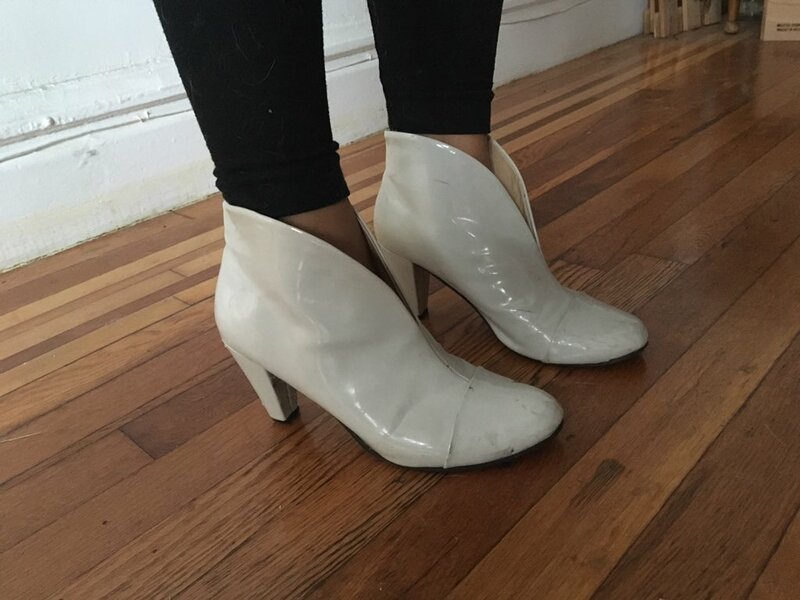 8- Would you care to share a picture of your favorite or most prized pair of shoes? HAHAH YES. Don’t they look like they’re from the Fifth Element or something? I don’t wear them nearly enough. Aly has a nick in his eyebrow and I still haven’t figured out how he got it! Rhee practices martial arts and when she feels threatened, always imagines how she’d fight her way out if the scenario escalated. 10- Is there any diversity we can look forward to in your book? Yes! Rhee is Native Kalusian; I based that culture off of my understanding of Asian and Pacific Islander traditions. Aly is black, from the planet of Wraeta. 11- Would you care to weigh in with your stand on the feminism, equalism, or humanism movements? This could be a whole other blog post! I am an advocate of intersectional feminism and strive to fight for all groups of women, respecting and celebrating the many facets of society and ways to self identify. Basically, I’m a feminist who believes we need to lift the voices of queer women and women of color, among others. 12- As a reader, what most motivates you to buy a new book to read? If I hear the politics are intricate, there’s great world building, and/or an irresistible voice—I will buy it. Oh also, a kick a$$ girl who can wield some sort of archaic weapon never hurt. 13- What advice would you give a minor who is being bullied? There are safe spaces and people who want to support you. They exist. I know it sounds impossible and unfair that it’s on you to find them, but it will be worth it when you do. Please do not give up. 14- What was the deciding factor in your publication route? The option to publish traditionally was available, and I gladly took the opportunity! Ultimately my publisher thought the book was viable enough that people might buy it and read it, but not all of my writing fits into that category. I have no doubt there will be things I will self publish, and projects that will better suit smaller presses! 15- Anything else you would care to share about your book and yourself? Happy Giftmas! 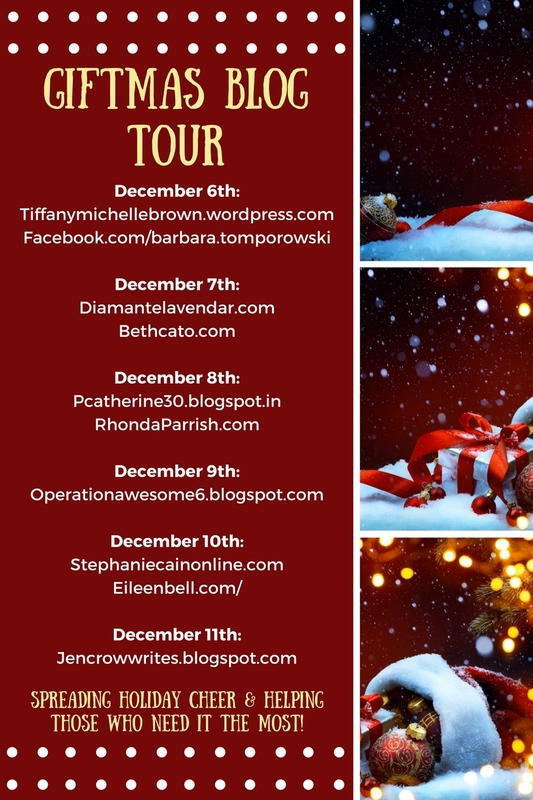 We here at Operation Awesome are excited to be participating again in Rhonda Parrish's Giftmas blog tour. 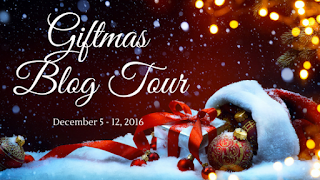 This year the blog tour is benefitting the Edmonton Food Bank. My oldest child was born in between my first and second year of graduate school. We lived in a tiny one bedroom apartment in the University of Utah's married student housing complex. My husband worked as a paraprofessional at an elementary school, which covered most of our living expenses. The rest and my tuition were all covered by student loans. Friends of ours offered to watch our son while we were at school and work for a ridiculously tiny amount of money. But in the middle of November, our arrangement fell apart. My husband decided to quit his job and stay home with our son until I finished school, which was great for our family life but terrible for our bank account. One night, close to Christmas, we were ding-dong ditched. When we opened our door, we found an envelope with $100 on our doorstep. Later, we found out that someone from our church had given several hundred dollars to our bishop to give to anyone that needed it that Christmas. We were one of a few families chosen to receive some of that gift. Most of that money went straight into our bank account, but we used some of it to splurge on steaks for our Christmas dinner. It was a welcome break from pasta and rice. Those steaks were probably the most delicious I've ever eaten, because they were seasoned with gratitude for someone who loved us and wanted us to be happy. We took a photo of our dinner, which we ate off our wedding china to make it even more fancy, and every time I come across it on my computer my heart swells with joy at the knowledge that there are good people in the world. Check out the rest of the stops on the tour for more great stories! I'll have another one up tomorrow on Diamante's blog. We all have stories about food we associate with the holidays. The Giftmas bloggers will be sharing their stories all week as part of our fundraising efforts. But what if your holiday food story was that you didn't have any? The Edmonton Food Bank aims to make sure that no family has to do without food at any time of the year. During this holiday season, we ask that if you can, you make a donation in the spirit of helping others make their own holiday food memories. Come back tomorrow for Kara's favorite holiday food memory, and check out the rest of the stops on the tour for more great stories! December 2nd is National Mutt Day, so our flash fiction contest is going to the dogs. From the National Day Calendar website, it states that National Mutt Day is celebrated each year on July 31st and Dec. 2nd, and 'encourages us to embrace, save and celebrate mixed breed dogs'. 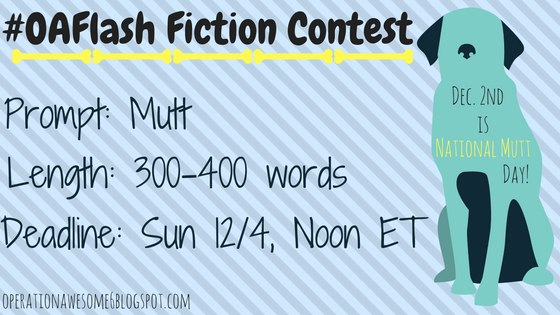 So sit, stay, and write some flash fiction about man (and woman's) best friend! Rules for the contest can be found here. Winner will be announced Sunday around noon. 1- What's your favorite song when doing karaoke? Ooh, that’s a tricky one! I’d have to say either Hello by Adele or Skyscraper by Demi Lovato. When I was in fifth grade, my best friend of all time moved away to a different state. We were soul sisters—we’d been friends since kindergarten, she lived right behind me, and we both loved to sing. Needless to say, I was devastated. Wanting to do something that would show her how much her friendship meant to me, I decided to write a book. It was fiction, but it was based on our friendship, the characters modeled after us and people we knew. I wrote it out on paper, and then every day after school, I came home and typed it up on our old typewriter. Once it was finished, I had it bound and then gave it to her as a going away gift. I have no idea if she kept it or if it ended up in the garbage. We eventually lost contact. But the one thing that I realized was how much easier it was for me to convey my thoughts and feelings on paper, and how much I loved the art of storytelling. It was at that time that I decided I would one day become a writer. 3- Five boys! Any multi-births or do they all have their own birthdays? Believe it or not, they all have their own birthday! Lol. No multiple births in this family! 4- What ignited your passion for writing? 5- I see you did the smoothie challenge a few months ago. Do you often drink smoothies, and do you have a favorite? I actually don’t drink a lot of smoothies, but I think my favorite would be a classic strawberry banana one. And by the way, the smoothie I was assigned to drink for the challenge was so disgusting! I can still taste it if I think hard enough! Yuck. 6- Do you have a fun story to share with us that illustrates a time when a benefit of being a published author came to light for you? I do, actually! It was shortly after I announced on social media that I’d signed a contract with Clean Teen Publishing to publish Catalyst. A friend of mine, whom I hadn’t seen in years since they moved out of state, contacted me and said her twelve-year old daughter was so excited about my novel and wanted to do a school project about me. Turns out the project was about a modern-day hero! I was deeply surprised but so honored. She interviewed me, wrote a report, and then presented it to her class. And from what I hear, she got a good grade! I think that’s the first time I realized the immense responsibility that comes with being a published author. We are examples to our young readers. They look up to us, even admire and respect us. Teens who read my work may be influenced by what I’ve written, whether good or bad. Something to consider. 7- Can you share a pic of your favorite scarf? I sure can! 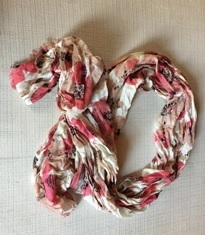 I love the coral and beige colors in this scarf—perfect for spring. 8- Who is currently your biggest fan? What does that person love most (or "ship") about your debut novel? Wow, that’s a tough one. I’ve had readers message me that they read the book in a day because they couldn’t put it down. Then of course, there’s my mom who keeps buying copies for everyone else, but still doesn’t have a copy for herself. But I think my biggest fan would have to be the young girl I was telling you about who chose me as her hero. Her name is Anna. 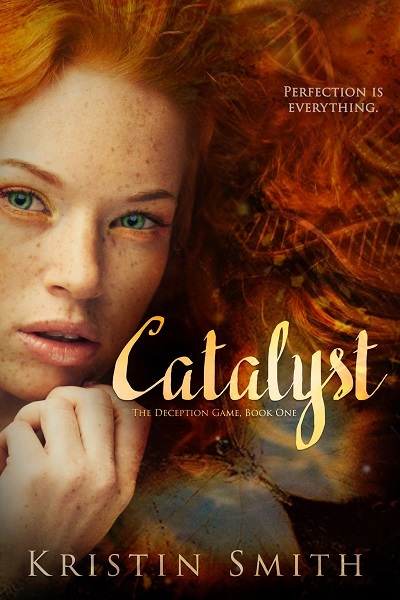 She sent me an email when she finished reading Catalyst and said she was telling all of her friends about it. Those words are music to an author’s ears! 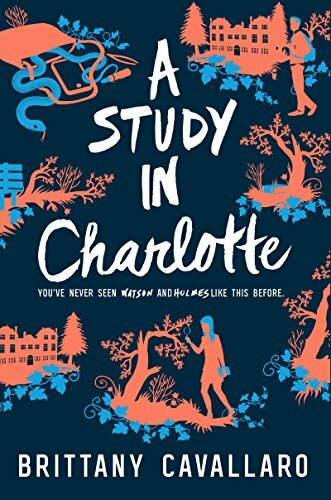 I’m not sure what Anna loves most about the book, but I had another reader tell me they love the relationship between Sienna and Trey. 9- Do you have a favorite chocolate (or chocolate recipe)? For favorite chocolate, it would have to be Lindt Lindor milk chocolate truffles or Reese’s Peanut Butter eggs/pumpkins/trees, etc. It has to be the specific holiday version of the PB cups, because those have the perfect ratio of peanut butter and chocolate. Trust me, it’s true! I’m hoping it will evoke excitement in readers, as in they don’t want to put it down so they keep reading late into the night. There is a particular scene that occurs on the Gateway (which is equivalent to the modern-day Strip in Las Vegas) that I hope will produce water works—I know it did for my editor when she was reading it for the first time! 11- What is the most memorable trait or visual oddity of one of your characters? Trey Winchester, the leader of the Fringe, has a tattoo of a tree on his arm, meant to represent power, wisdom, strength, and leadership. But this tattoo doesn’t sit on top of the skin like a normal tattoo, instead, it glows from beneath the skin. When Sienna meets him for the first time, she’s never seen anything like it. 12- The line in the book description: "young leader who’s too hot to be bad" -- I love that. Have you known anyone who fits that description? Lol. We all love the bad boy, don’t we? No, I don’t think I’ve known anyone specifically who would fit that description. But I think the character of Trey is built in part by bits and pieces of guys I’ve known, but also from my complete imagination. He’s a rebel with a cause, and yes, he is hot! 13- Reading the blurb, it looks like you've created a whole new kind of diversity! Are there any certain currently-existing diversities you'd like to mention that we can look forward to in your book? 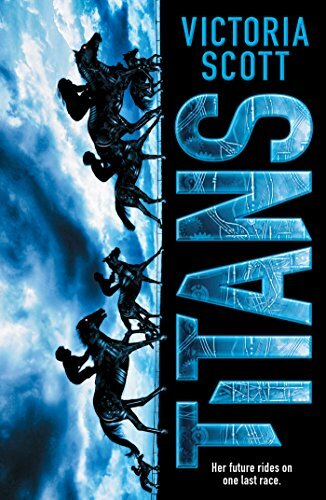 The book takes place in a futuristic society where the wealthy choose genetic modification for their children. 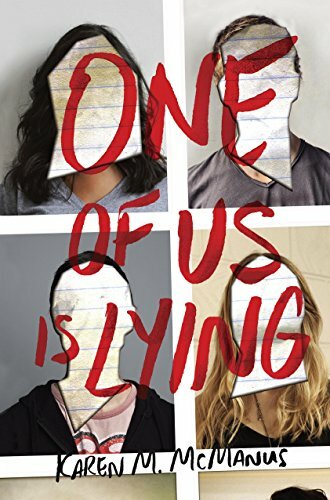 So you have the wealthy, genetically modified teens, and then you have Sienna (the main character in the story) who is considered to be a “normal” girl because her parents decided to let nature decide the characteristics of their child (the reasons why they did this are forthcoming in this novel and the next). So yes, there is a bit of diversity there, and on Sienna’s end, there are feelings of not being good enough, especially compared to her peers. I think there are several things actually. If someone recommends a book to me, then I’m all over it. Also, I’m active on Instagram and love interacting with other readers to see what they’re reading and what’s hot right now. I discovered Six of Crows this way! And lastly, but probably the most important, I’m a cover snob. Sometimes I’ll buy a book simply because of the cover and the back jacket blurb. Which goes to show that you CAN judge a book by its cover! 15- There's a lot of DIY crafty goodness on your Pinterest boards. Are you into crafting and do you have a pic of a project you're especially proud of making? Ahh, yes, I LOVE Pinterest! I also love planning parties (when I can find the time) so most of my “creations” stem from that particular outlet. Here are a few pics of a couple parties I’m especially proud of. I actually received three offers of publication, with Clean Teen being my top choice. I knew they were the right home for Catalyst because of their reputation, their savvy marketing skills, and their all-around awesomeness. And I haven’t been disappointed! They are an amazing group of women to work with, and it truly feels like I’m part of a family. The other authors are fabulous too, and I love the camaraderie and willingness to help each other promote. 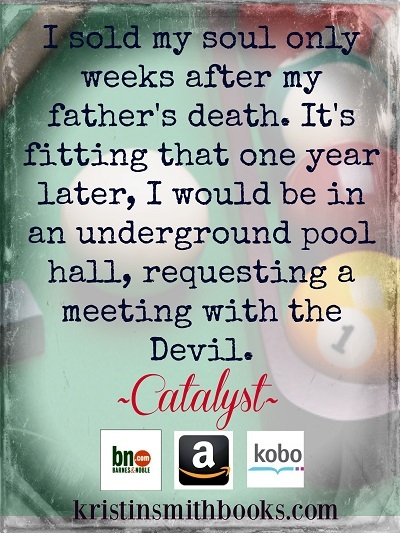 I feel like I won the lottery when Clean Teen offered me a contract to publish Catalyst! It has been the best experience. 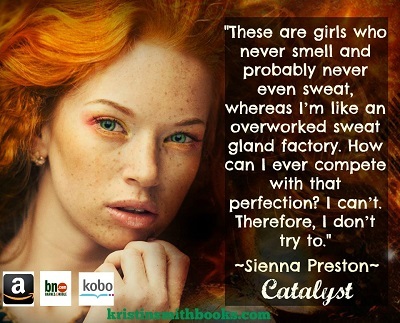 Catalyst can be found in Barnes & Noble bookstores nationwide, coming in December, so I’m super excited about that! Look for it on a shelf near you! In a crumbling, futuristic Las Vegas where the wealthy choose the characteristics of their children like ordering off a drive-thru menu, seventeen-year-old Sienna Preston doesn’t fit in. As a normal girl surrounded by genetically modified teens, all of her imperfections are on display. 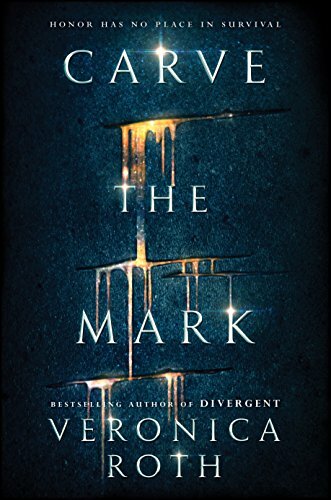 But after the death of her father, everything she's ever known and loved changes in an instant. "Fight the good fight of faith" is a phrase I found recently while reading the New Testament. It has a lot of meaning for me in many facets of my personal life, but lately I've been chanting it over and over to myself while sitting down to write. I've never not won NaNoWriMo (I am very stubborn, what can I say), but this year I've come closer to giving up than I ever have. I thought that with so many books under my belt, drafting this novel would be a piece of cake. Well, it hasn't been, to say the least. Some days I fly through my 1,667 words, but most days it's a slog. Maybe it's because I'm presently querying last year's NaNo project. One night I paused in writing to update my word count, and took a break to check my query inbox. There was yet another form rejection letter waiting for me. It made writing very difficult that night, unsurprisingly. On the flip side, I've also gotten three full requests this month. Those made for easier writing nights. Although then there's the stress of wondering when I'm going to hear back from those agents. No wonder I find myself constantly on edge! Writing is a hard business to be in no matter how it's going. When I tell myself to fight the good fight of faith while I write, it's a reminder that no matter how awful I think this first draft is, I need to keep going. I need to have faith in myself that I can take a rough first draft and edit and polish it until it's something I'm proud of. I need to have faith that there will be a payoff from all of this someday. I need to have faith that doing something I enjoy isn't a waste of time, even if there isn't a payoff in the form of being a published author. As the immortal philosopher Steve Perry once said, "Don't stop believin'." Please keep writing, my friends. Fight that good fight. Have faith. 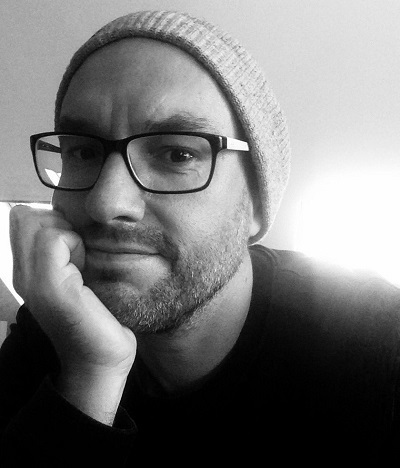 Welcome back to guest blogger, A.P. Fuchs! The Internet is a painfully crowded place, especially these days. I remember in the late nineties when the Web was starting to take shape. There were some basic websites and, well, that was about it. Communication on-line was pretty much email. Now look at us—everyone’s on-line, we’re all shouting, and social media is the main form of communication. Unfortunately, there’s just too many people and these days, with every one and their monkey writing a book, there’s too many authors and it’s near impossible to get noticed. Sure, it happens, and some authors build a sizable and—keyword: pragmatic—social following, but for the most part, many struggle in this area. Productive numbers are where it’s at and newsletters, by their very opt-in nature, cater to that. Do you want to know who is truly invested in what you do? Start a newsletter. It’s focused marketing: sending out communication and information to people who have chosen to hear what you have to say. Actually, I don’t even like to use the word “marketing” in this case because that totally devalues the point of a newsletter, which is connecting with readers who genuinely care about you in return. Look at the word itself: newsletter. It’s a letter, not a brochure. Sure, your newsletter numbers might be smaller than your Facebook likes, but they’re quality numbers, which have more value than just a high like count. The people who have chosen to receive a newsletter from you are the same people who are more likely to get a copy of your book because a genuine interest in you has already taken place. ▪ The Plain Jane promo newsletter. This is the kind that only goes out when an author has a new release. It’s not about communicating with the reader, but simply selling to them. I find these shallow; see the newsletter work breakdown above. ▪ The monthly update newsletter. Typically something sent out once a month, this is the newsletter where the author says what’s going on with them, where what project is at in the production process and to promote a book(s) or event or something. My personal favorite and the kind I run, which I’ll get to in a moment. The weekly version can be like the monthly one, just sent out weekly. Or it can be about creating a dialogue with the readers and talking points of interest, usually to do with writing or books or entertainment. My weekly newsletter, The Canister X Transmission—presently in its second year—has four main points: writing/publishing/marketing tip of the week; book/comic spotlight from my catalog; creator spotlight focusing on indie and mainstream creators who’ve impacted my career; rant of the week, which is basically a positive or negative thing depending on what’s been heavily on my mind for the past seven days. I also offer a free thriller e-novelette download if you sign up. Ultimately, newsletters make the on-line world a smaller place and, frankly, in today’s obscenely overcrowded rat race society, it’s sorely needed. It’s a chance to quiet down, meet with a reader, and open up about what’s going on on your end. And you’d be surprised. Readers respond to newsletters with their thoughts, questions and more. Beats an overcrowded social media channel any day.